Peru has many things to offer, there are so many archaeological sites in the coast such as Machu Picchu, the most famous attraction, that are not explored even explained to travellers. We can tell that the Moche Route is one of this places that have so many things to discover , but is not popular, at the moment, for travellers. The Moche Route is a unique route and a great chance to explore Peru out of the crowd. The Moche Route in the Coastal North of Lima has a diversity of things to do, from main archaeological sites, world-known beaches, cultural and scenic attractions. This route was inhabited by the Pre-Columbian civilizations such as Moche, Chimu and Sican, developed from 200 to 800 A.D, one thousand years before the Inca Empire. The Moche Route has 3 different circuits to choose, here we come with more the most important attractions. Lady of Cao, a Moche noblewoman who ruled the Chicama Valley some 1700 years ago. 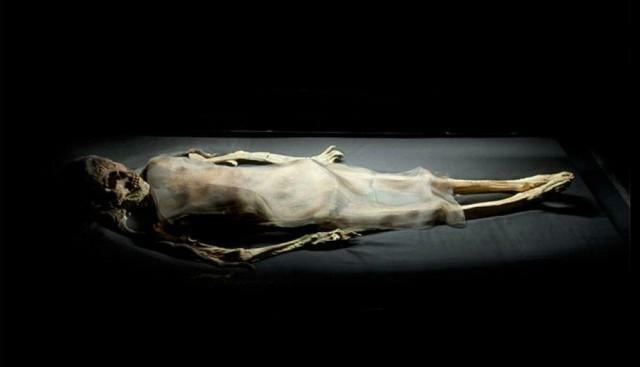 Her perfectly preserved tomb was discovered in the El Brujo Archaeological Complex. 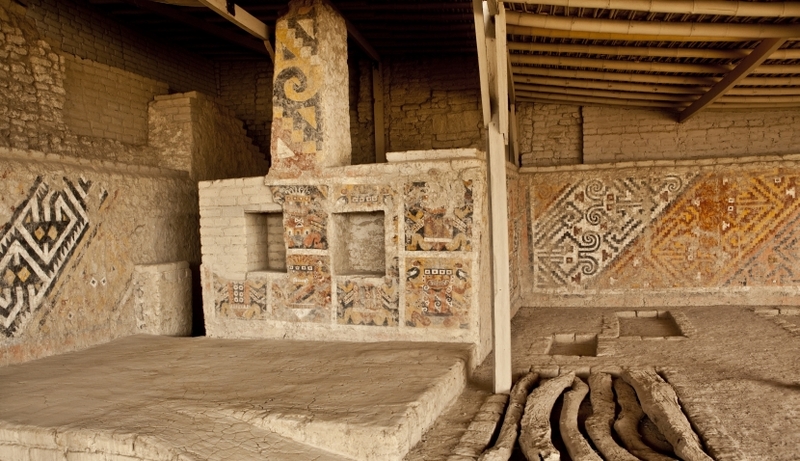 Located 50 minutes from Trujillo is the Archaeological Complex “El Brujo”. Located in Chicama Valley, this site boasts many adobe pyramids that are decorated with friezes and painted walls, through which the Moche artists represented their magical- religious world using multi-coloured ichnography. Located 10 minutes from Trujillo is the city of Chan Chan. This, largest mud city found in the Pre- Columbian, was the capital of the Chimu civilization. The mud city was inscribed by UNESCO as one of the World Cultural Heritage List in 1986. 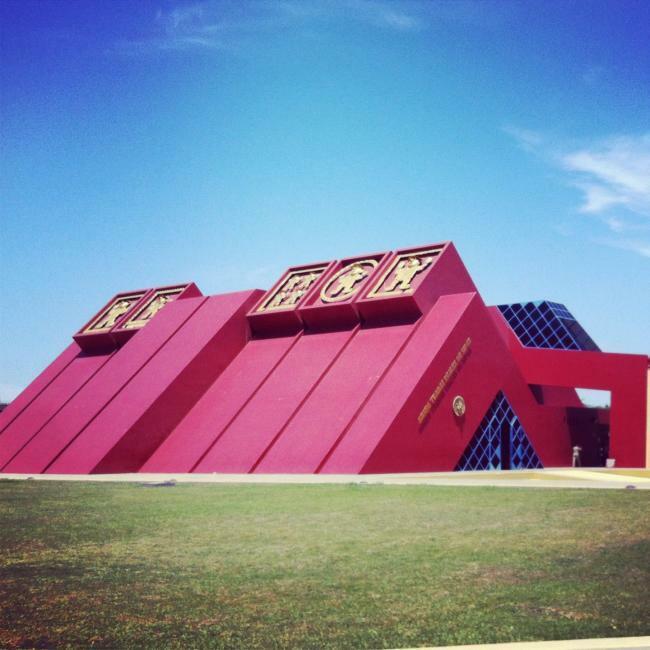 Located 15 minutes from Trujillo city you can explore both structures built by the Moche civilization. The Pyramid of the Sun, standing 141 ft. in the air, is the tallest in Peru, while Pyramid of the Moon possesses amazing multi-coloured murals. Only 10 minutes from Trujillo is the most preserved pyramid from the Chimu culture. An adobe pyramid, built roughly 1100 years ago. The walls are profusely decorated in high relief that features ancestral figures, yet the most striking is two headed with an infinite number of feet, similar to a Dragon. 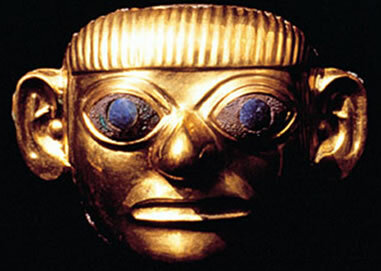 Circuit 3: The Moche Empire and the Golden Splendour of Sican: Chiclayo, Tucume, Royal Tombs of Sipan Museum and Pomac. Situated in Lambayeque, at 45 minutes from Chiclayo city is Huaca Rajada. In 1987, archaeologists found an intact tomb, exquisitely decorated in gold artifacts, of an important Mochica sovereign, who they named the Lord of Sipan. 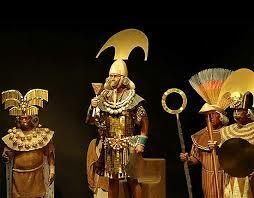 You can see the gold, silver, and copper artifacts on display at the Royal Tombs of Sipan Museum. On exhibit here is a collection of gold, silver and copper pieces that were unearthed from the tomb of the Lord of Sipan. Also known as the Valley of the Pyramids, since there are 26 pyramids within the complex, was developed during the 8th century A.D; believed that it took around 500 year to complete their construction. This dry forest protects the largest natural carob stand in the country as well as the Batan Grande pyramid complex. The once- considered extinct white-winged guan has been reintroduced into this habitat. Here to know more about the white-winged guan. Group of adobe pyramids from the Sican culture. 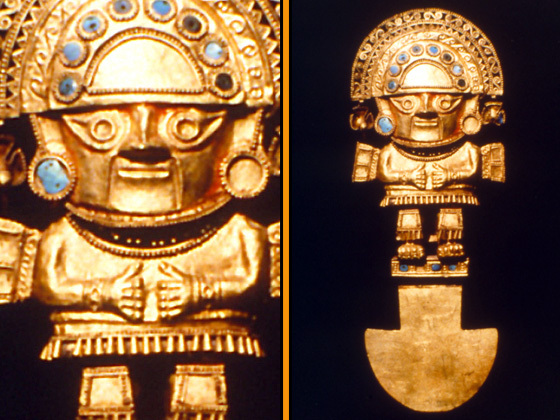 Researchers investing the site in the 1930’s discovered some gold pieces among them the famous Tumi (a ceremonial blade) and the slant eyed mask. Then in 1991, was found the tomb the Lord of Sican. The complex is set within the Pomac Forest Historic Sanctuary. Displays a collection that provides a complete summary of the Pre- Columbian cultures, seen through the research. Also displays the pieces uncovered during the excavations of Batan Grande. 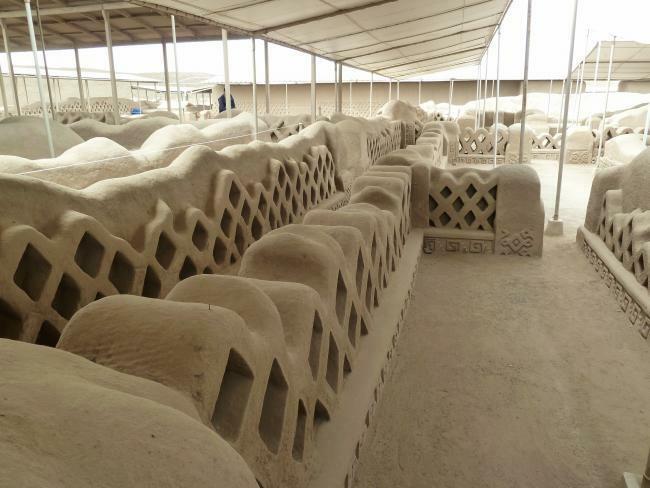 You can see tombs and mummies of important Sican characters. The Inca’s celebration- Inti Raymi this June! We are a company based in Peru which delivers outstanding adventure tour and travel experiences in any side in Peru. We can offer personalized travel advice to any destination in Peru.